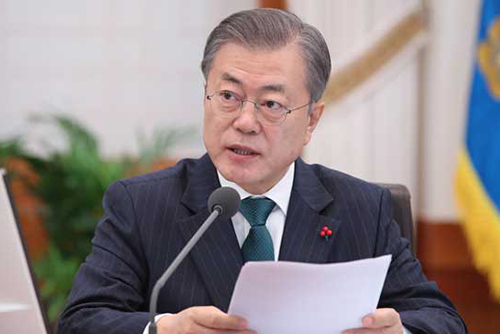 President Moon Jae-in has rejected the appointment of two of the three people recommended by the main opposition Liberty Korea Party(LKP) to join a parliamentary committee probing the May 18th, 1980 Gwangju Democratization Movement. Presidential Spokesman Kim Eui-Kyeom revealed Monday the president decided not to endorse former Monthly Chosun magazine reporter Lee Dong-uk and former director of operations at the South Korea-U.S. Combined Forced Command Kwon Tae-oh as members of the committee. The president said the two lack qualifications for the post under a special law on investigating the Gwangju pro-democracy movement and asked the opposition party to recommend other candidates. The remaining person recommended by the LKP, former Suwon District Court judge Cha Ki-hwan, will likely be appointed. Under the law, fact-finding committee members should have at least five years of experience working as a legal professional, law professor, forensic medicine expert, historian or human rights activist. The nine-member committee will be comprised of four members recommended by the ruling party, four by the opposition bloc and one by the National Assembly speaker.